The season is changing, we are saying goodbye to the ‘short days’ were moments of sunshine seem like a luxury because most of it is spent in darkness. Those rays of sunshine feel fantastic and you start to feel warm again outside, maybe even taking off your jacket in the middle of the day. Only to be reminded that it’s still not yet there as soon as the sun is blocked by some clouds. It’s that time where you need 3 layers in the morning, 1 midday and those 2 extra again as soon as the sun is retiring for the day. 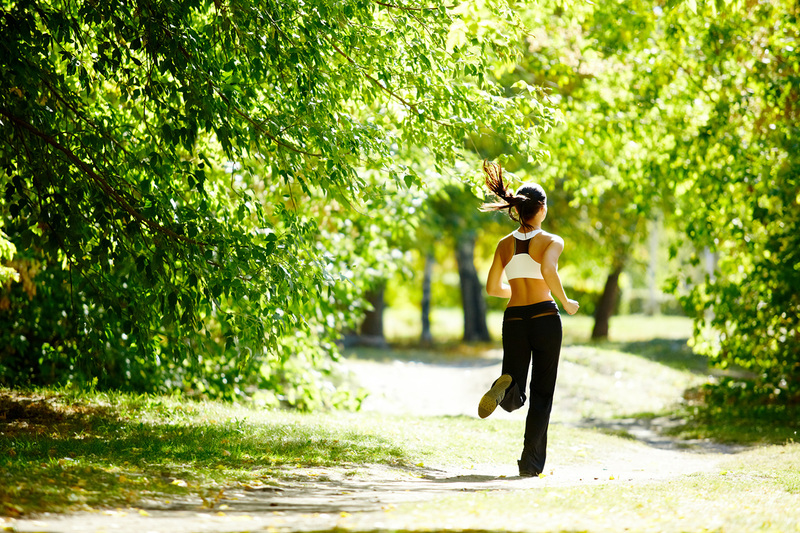 When you go out running you need to keep an eye on this so not to get sick, let us give you some tips. Odds are that you go running after the hustle and bustle of the day. When you are done working or taking care of business at home or with the kids. When you look outside you can see the sun shining and when you step outside you still feel the warmth hitting your face, but you might well be unpleasantly surprised when sundown happens during your run and all of the sudden the temperature drops fast! 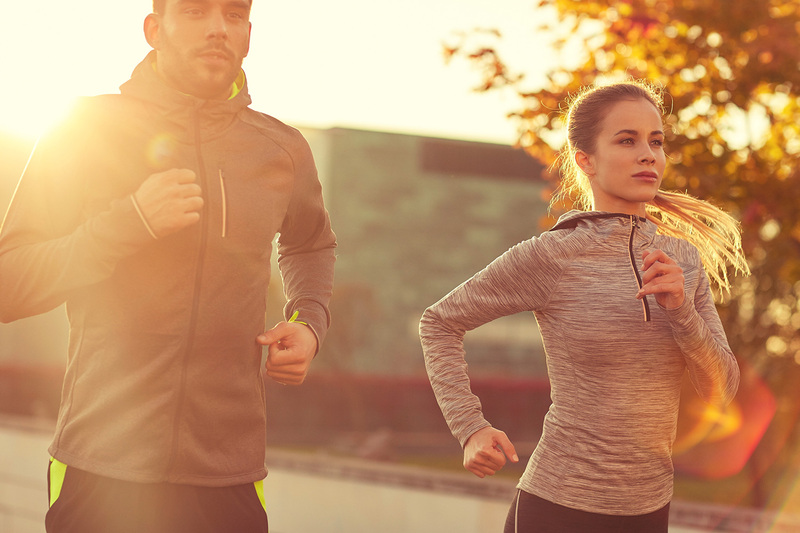 The ideal situation is to create either go running before dinner or after so the entire session is either with the sun still out or with it already set during the entire running session. This way you can be sure the situation won’t drastically change within the run. But what if your schedule does not allow this? If this is not a possibility for you, then you can adjust your running gear, in this case, the clothes you were to help you out. Get a long sleeve shirt, but not the ones with the very, very tight sleeves. If they are a bit looser you can roll them up and down as you wish. And when you are shopping for one, look for that same property in some running pants. Look for the ones where you can roll it up to be more of a three-quarter length. The extra airflow will be nice and breezy with the sun out and as soon as it drops you roll it all down so it will store your body warmth again! The second option is to think in layers. A sporty wind jacket is supposed to be very lightweight and very minimal, so it’s easy to just take it off and wrap it around your waist. It should take 3 seconds to get it and put it on as soon as the colder air starts to hit you. Are you going for a longer session like the endurance run (nice!)? Think about getting a small en lightweight backpack that sits flat on your back. The storage capacity that even the simple models bring allow for a light jacket, a cap, and other smaller but helpful items to keep you warm later on in the run. Early in the year will always be a transition period where the weather is fickle and sometimes downright stupid. The ups are nice and cozy and the lows are very cold and nasty. Don’t be that person that is surprised while being miles away from home wishing you did take that jacket with you now that you feel like your freezing. Look at the forecast and prepare. Also, do not be fooled by your own body. If you just sprinted and you feel nice and warm, you do not want your muscles to cool down too fast when you adjust your pace. You should rather have some extra gear and not need it the alternative! Learn and improve your running the easy way. It is almost a certainty that, when you.. 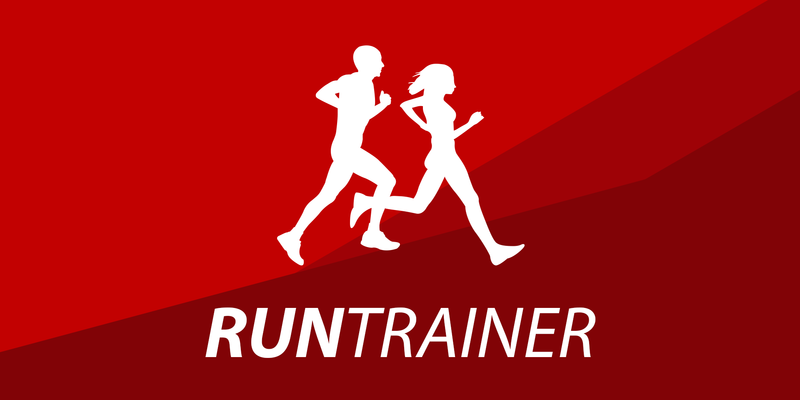 The reason you downloaded Run Trainer could be..